ACME Fine Art’s exhibition of paintings by acclaimed contemporary painter Pat Lipsky will open on 6 March, 2015. The artist will be on hand for an Opening Reception that will be held in conjunction with SoWa First Friday from 6:00 to 8:00 pm on 6 March. The exhibition will be on view through Saturday, 25 April and will be the gallery’s first solo exhibition of Lipsky’s work. 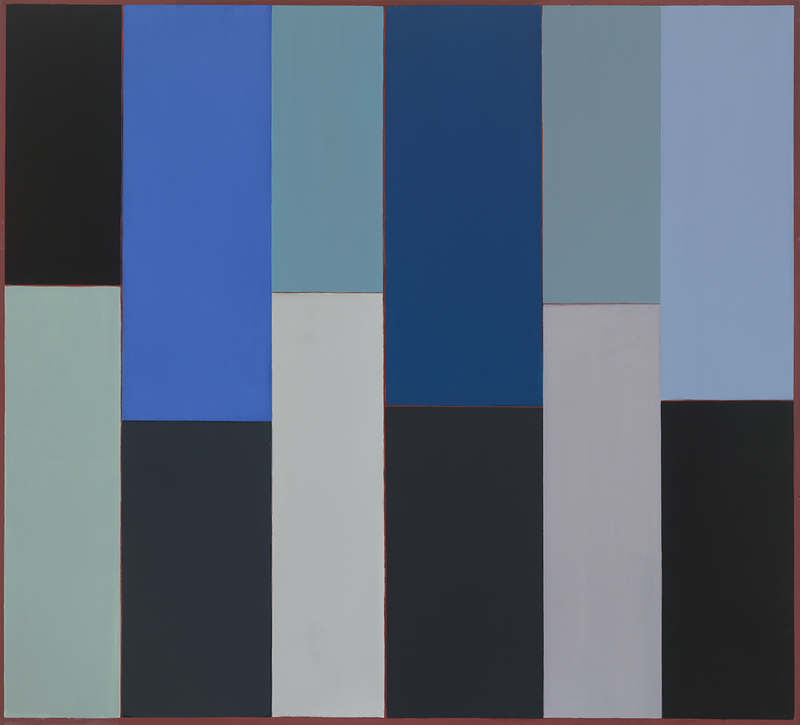 For this occasion, Gallery Director David Cowan selected ten canvases dating from 1995 to the present that collectively document what the artist’s color paintings have been about these last twenty years. Through her more than four decade career Lipsky has been primarily occupied with the emotive, and relational nature of color. Lipsky paints bold pictures that use a surprisingly painterly approach in somewhat simplified compositions evoking feeling through color relationships. Following the tradition of Abstract Expressionism Lipsky’s paintings are large and synoptic. Upon further viewing the myriad details she focuses on reward the eye. Often she uses as many as fifty thinly applied layers for a single color giving her pictures a rich, expressive effect. Ultimately her canvases tantalize the eye, engage the head, and reveal her humanity. The work draws on a range of fascinating visual sources from the porphyry colored marble columns of Saint Marks Cathedral to the black lead of early Gothic stained glass. Lipsky began exhibiting her work in the 1960s at the Andre Emmerich Gallery soon after earning degrees from Cornell University and Hunter College. It was studying at Hunter College that Lipsky met her mentor, the acclaimed sculptor and visual artist, Tony Smith. Lipsky’s use of color, coupled with the spatial organization of shapes, make her work strikingly complex and visually stimulating. Recent exhibitions have been glowingly reviewed in Art in America, The New Yorker, the New York Times, Partisan Review, and Art New England. A winner of the prestigious Adolf and Esther Gottlieb Foundation Grant and twice the recipient of Pollock Krasner Foundation Grants, Pat Lipsky has had 29 one woman shows and a solo museum show at the Everson Museum of Art in Syracuse. Her paintings are in 22 museum collections including, the Brooklyn Museum, the Harvard Art Museum, the Hirshhorn Museum and Sculpture Garden, the San Francisco Museum of Modern Art, the Wadsworth Atheneum, the Walker Art Center, and the Whitney Museum of American Art. Examples of Lipsky’s work that are currently available are now on view at the gallery website and the Gallery’s ARTSY site. For further information on the exhibition and/or the artist please contact the gallery.